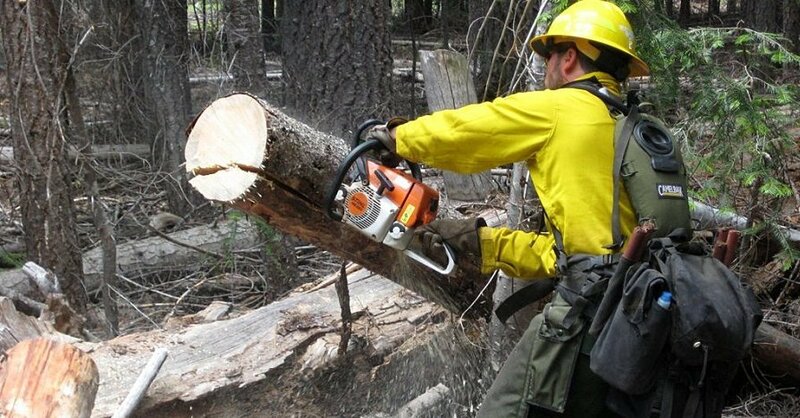 Whether you are a logger or a weekend warrior clearing brush from winter snow damage and spring overgrowth, you know that a chainsaw is an exceptionally dangerous tool. With the right chainsaw safety gear and proper technique, however, you can get the job done without incident. To put things in perspective, the CDC estimates that approximately 36,000 people are treated for chainsaw-related injuries every year. So, what kind of chainsaw safety gear do you need to work as safely as possible? Begin by making sure that the chainsaw itself is safe. In spite of being an inherently dangerous tool, there are a number of things that can make a chainsaw safer. 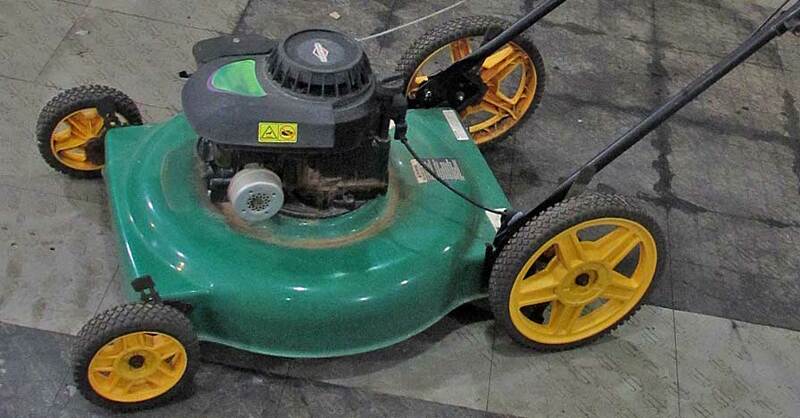 Make sure that the chain brake works by pushing the kickback guard forward, which should slow the chain. The chain brake should activate automatically in the event of kickback, but you shouldn’t actively test this out. 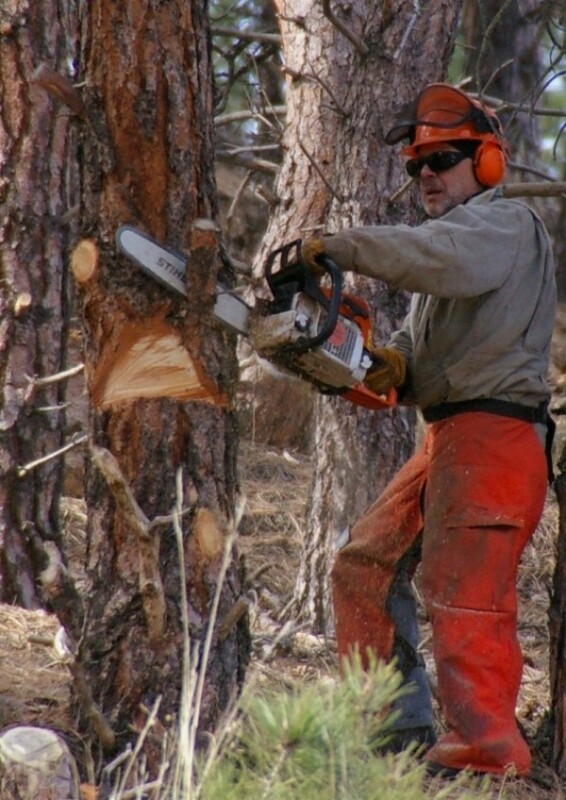 To avoid chainsaw kickback, avoid plunge cutting if at all possible, and monitor the instrument’s contact with the upper part of the nose while cutting, especially when trimming small bunches of trees where tree trunks are very closely grouped together. Some chainsaws can be fitted with a special bar and chain, which are slightly less aggressive and reduce the chance of kickback. Other bars can be fitted with nose protection. Although this tool reduces the depth of the cut you can make, it can also almost entirely eliminate kickback. Don’t forget to regularly inspect other safety features on your chainsaw, such as the emergency shutoff switch and throttle interlock. Make sure all bolts and other fittings are secure. Aside from making sure your chainsaw is safe, make sure you equip yourself with as much personal protection as possible. Protect your head, eyes and ears with a quality hard hat, eye protection and earmuffs, respectively. Leather is a good option for glove material, since they provide a good grip and measure of cut resistance. Steel-toe boots with good tread help you keep a strong, balanced stance while also protecting your feet. You can shield your legs with cut-resistant pants or chaps. How you operate a chainsaw can be just as important as the safety gear and the saw itself. Always use both hands when operating, and never use a “monkey grip” for holding the handles — you have opposable thumbs for a reason. Standing with your feet slightly apart and staggered, with the saw close to your body, can help you maintain your balance and control over the saw. If you can, keep the working pieces of the tool above your knees and let the saw do the work. 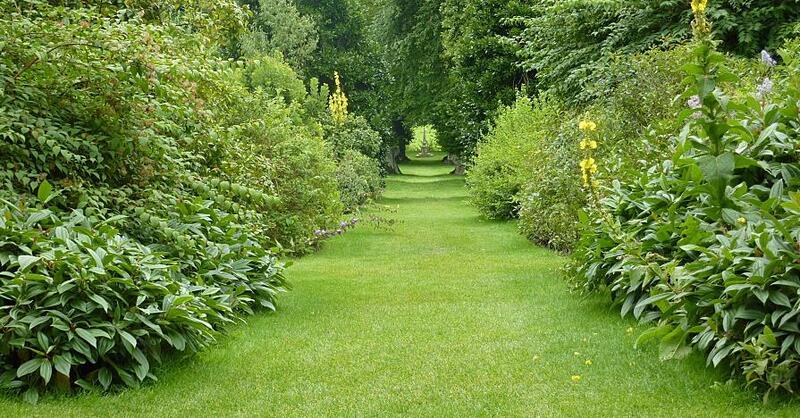 If you have to work low, you’ll be better off getting on your knees than bending over. You’ll have better control, and your back will thank you. Finally, always be mindful of people around you. You should always work with a buddy in the event that things do go wrong, but also ensure bystanders are safety-equipped and standing at a reasonable distance — or two tree-lengths (150 ft) away, according to the CDC. Keeping your chainsaw well-maintained and yourself well-protected may cost slightly more up front, but a price tag can’t be put on safety. 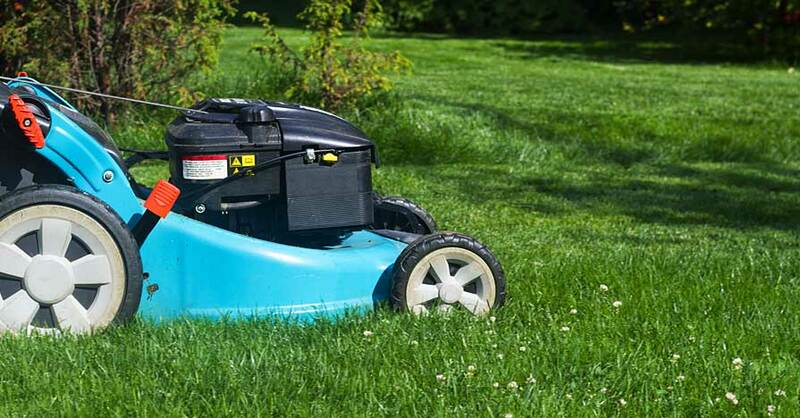 Check out all the lawn & garden products available on NAPA Online or trust one of our 16,000 NAPA AutoCare locations for routine maintenance and repairs. For more information on chainsaw safety gear, chat with a knowledgeable expert at your local NAPA AUTO PARTS store.